Above you will see one of our recent installs in Sausalito, CA. When arriving at this home you almost feel as though you are pulling up to a Tuscan style resort. This soft arch iron door is beautifully framed and becomes the focal point of this home that creates a lasting impact on visitors. 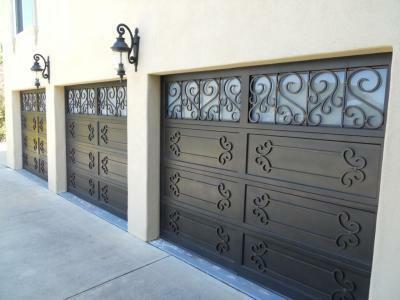 Paired with the iron entry door our customer also purchased matching iron garage doors, and these durable and elegant garage doors truly set this home apart from the masses. When living is Sausalito, your home could have a stunning view of the Golden Gate Bridge or maybe you have a delightful Villa just off Bridgeway Street. 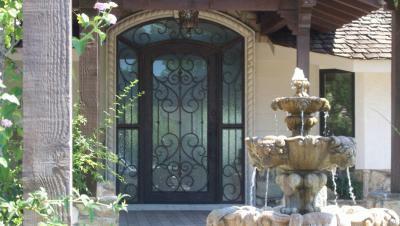 No matter where you live or whatever your style may be Signature Iron Doors can customize our hand forged iron products to fit your personality or the look you have always wanted for your home. We invite you to visit our website and contact us to see how we can help you create the home you have always dreamed of.